Why Should I Consider Ayurveda? 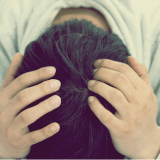 Stress is becoming a common cause of illness in the modern world. Modern medicine is focusing on relieving the symptoms by prescribing so called drugs, while Ayurveda teaches us how to cure an illness and lead a healthy life by adjusting lifestyle and diet according to the individual’s constitution. It is not about just treating the patient after the occurrence of an illness, but to make the individuals strong enough to resist the illnesses. It works in two ways; Prevention and Cure. The Ayurvedic system of medicine is a few thousand years old and time tested. This system is holistic and considers human beings as part of a collective consciousness or universal soul and nature. 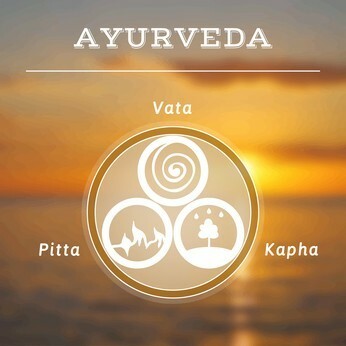 Unlike modern medical systems which considers man as a thinking machine, Ayurveda clearly defines connection between body, mind and surrounding nature. Being a complete system, Ayurveda is everlasting and it doesn’t need any change in its application. Ayurveda is the most ancient and the mother of all healing systems in the universe. It is individual specific and teaches that each individual is a unique proportion of three humors or thridoshas. Hence treatment and medicines are decided only after considering symptoms of the patient, place where he belongs to (geographical area), natural strength, time or season when patient is having the consultation, digestive capacity, body constitution and age. Ayurveda considers each of these factors critical in the successful medical intervention of a patient. How are we connected to our surroundings? According to Ayurvedic philosophy all living and non-living material in the universe is made up of five basic constituents called pancha bhoothas. Ether (Space), Air, Fire, Water and Earth. Climatic changes have an impact on plants animals etc. We are not an exception, which is the reason why climatic changes influence the human body and results in illness. How can medicines and our food regimen cure and prevent diseases? According to Ayurveda, diseases are caused by the imbalance between the bodily humours (thridoshas). Hence treatment is all about balancing these humours back to their self. 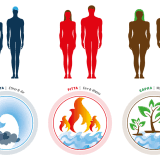 Thridoshas are composed of five elements i.e Vata (air+ space) Pitta (fire + water) and Kapha (earth +water). Likewise, medicinal plants, minerals and food are also made up of five elements similar to our body. Ayurveda consider six tastes sweet, sour, salt, bitter, pungent and astringent. Taste is perceived by the tongue. Each of these tastes may be predominant in medicinal plants, minerals and food. Each taste contains two basic constituents or Elements in higher quantity. For example: sweet material contains water and earth in higher levels and that is the reason why the habit of excessive sweet intake causes weight gain or increased Kapha. Ayurvedic principles say sweet, sour and salty materials cause reduction or alleviation of Vata dosha. Similarly other tastes have an effect on the other two humors such as Pitta and Kapha. After the assessment of symptoms and dosha involved, your Ayurvedic physician can suggest medicines and food with the required tastes to correct the imbalance of humors or doshas. In a nut shell, why is Ayurveda so unique?